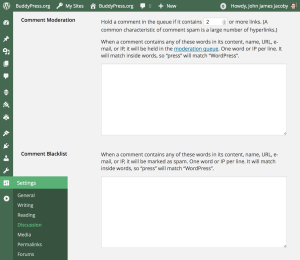 When a Topic or Reply is found that contains a word in your Comment Moderation settings, it will be placed in Pending status, rather than being published immediately. Your topic cannot be created at this time. The reason the response is kept generic, is so the offending user is not clued into a problem they can then attempt to circumvent with spaces, symbols, or other web voo-doo. You cannot currently modify the results of these responses, though a core patch to the bbp_add_error() function could enable it relatively easily in a future version of bbPress.